This is the eighth installment about my speaking in the UK. After my second talk in Oxford (given at Wycliffe Hall), I got on a bus to Cheltenham, in order to speak on the same topic (biblical eschatology) at the University of Gloucestershire that evening. My host at the University was well-known Old Testament scholar J. Gordon McConville. I first met Gordon when I was invited to be the respondent to his keynote address at the Institute for Biblical Research annual meeting in 2013, on the topic of the Bible’s understanding of what it means to be human. That keynote address ultimately led to his wonderful book called Being Human in God’s World: An Old Testament Theology of Humanity (Baker Academic, 2016). I wrote a short endorsement for the dust jacket, and I have now been asked to write a full-fledged book review for the journal Themelios. There were some other biblical scholars at my lecture (some of whom I had known before), and we all went out for dinner afterwards (led by Gordon McConville). Matt Lynch is an Old Testament scholar, who is both Dean of Studies and teaching faculty at the Westminster Theological Centre, with head offices in Cheltenham and learning centres throughout the UK, Channel Islands, and Northern Europe. 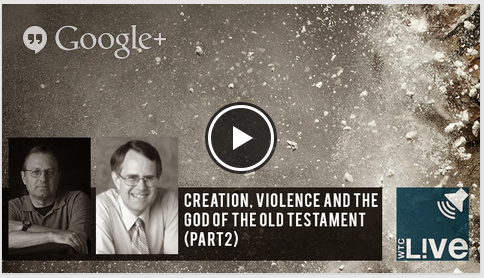 Two years ago (May 2015) Matt conducted an online interview (via Google Hangout) with both me and OT scholar William Brown on the topic of “Creation, Violence, and the God of the Old Testament” (the interview can be viewed here). The morning after my eschatology lecture, I met Matt in a local coffee shop (called the Boston Tea Party, appropriate since Matt is American) where he interviewed me as part of a series of interviews with biblical scholars called “On Script.” The interview is available as a podcast either to listen to online or to download. Matt is the author of Monotheism and Institutions in the Book of Chronicles: Temple, Priesthood, and Kingship in Post-Exilic Perspective (2014). He is currently working on a new book on violence in the Hebrew Bible, which I’m dying to read (one of my MA students who wants to write a thesis on Genesis 4, which is the starting point of the book, is also looking forward to it). 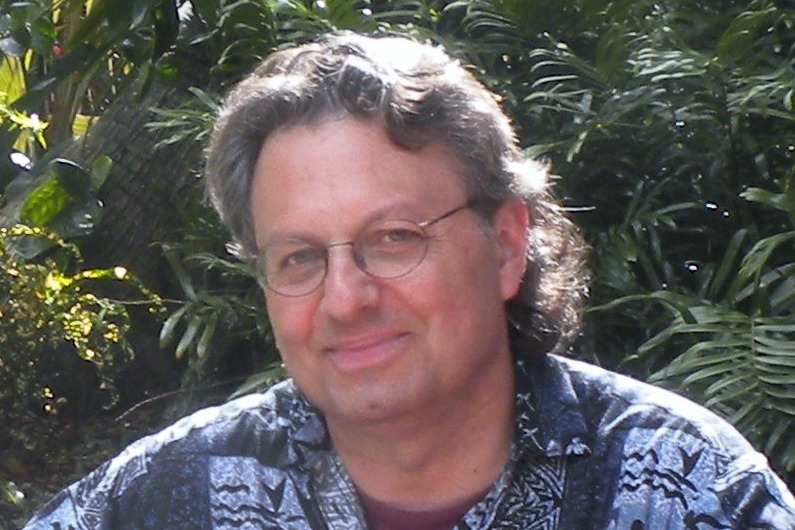 Crispin Fletcher-Louis is an independent scholar, who works on Second Temple (Dead Sea Scrolls) and New Testament materials, with a focus on the imago Dei theme. Among his books are All the Glory of Adam (2001) and Jesus Monotheism, vol. 1: Christological Origins (2016). He is especially interested in how Adam, the High Priest, and Jesus (among others) are portrayed in Jewish and Christian literature as participating in God’s divinity (you can listen to an interview with Crispin about Jesus Monotheism here). While I don’t formulate these ideas in quite the same way, I have found his work helpful, and I cited him in my entry on “Image of God” in vol. 2 of The Oxford Encyclopedia of the Bible and Theology (2015). it was good to meet Crispin in person. Andrew Lincoln is a senior New Testament scholar who has just retired from teaching at the University of Gloucestershire. I met Andrew back when he was teaching at Wycliffe College, at the University of Toronto (he is a friend of Brian Walsh and Sylvia Keesmaat). Andrew was probably the most outspoken critic of my eschatology lecture (and he didn’t hesitate to raise questions); I had read his book on Paradise Now and Not Yet (2004) when I was working on my eschatology book, so I expected his questions. He is a prolific author, and has a fascinating recent book on the virgin birth, which I don’t quite agree with. Nevertheless, disagreement doesn’t negate collegiality, and we had a friendly discussion over supper. In fact, my students will know that I have assigned his commentary on the Gospel of John in one of my biblical exegesis courses over the past few years. My speaking tour in the UK ended at Trinity College, Bristol, the topic of my final post.